Francis is the name of several extraordinary saints. Francis Xavier, cofounder of the Jesuits, is one of history’s greatest missionaries. Francis Borgia, a member of one of the most famous (and infamous) families of the Renaissance, turned away from wealth and privilege, joined the Society of Jesus and rose to become its superior general. And Francis De Sales, the great mystical writer, ascetic and bishop, founded a religious order of women with St. Jane De Chantal. He also worked closely with the Capuchin Franciscans to preach a renewed Catholic faith in his diocese in the wake of the Reformation. But the Francis most people remember when they hear the name, including many non-Christians and non-believers, is the Poverello, “the poor one” – St. Francis of Assisi. This is the saint whose name our new Holy Father, Pope Francis, has chosen. So it’s good to know a little bit about him. St. Francis once said that “the saints lived lives of heroic virtue, [but] we are satisfied to talk about them.” Francis himself wasn’t satisfied with pious words. He wanted to act on the things he believed. He called his brothers to live the Gospel with simplicity and honesty. And that’s why he used the words sine glossa – “without gloss” — in his Testament. He saw that the Gospel wasn’t complicated, but it was demanding and difficult. The scholars and Church lawyers of his day in the 13th century had written commentaries called glosses. And these glosses were very good at either explaining away the hard parts of the Gospel, or diminishing our need to follow Christ’s demands. Francis wanted none of that. He was a radical in the truest sense. He wanted to experience discipleship at its root. Francis lived in a time as troubled as our own. It was an age of Christians killing Christians, Muslims and Christians killing each other, wars between cities and states, and corruption both within and outside the Church. Views of society and the Church were changing. The feudal system was falling apart. For much of his life, Francis was lost in the confusion. But in his experience of faith and prayer, he came to some basic insights that gave him a very powerful inner freedom. And this enabled him to live the Gospel with simplicity and clarity in such a way that he not only was converted himself, but also became the leader of a movement of conversion in the Church and society at large. Today the Church seems to be in similar disarray. We have all sorts of factions fighting each other, among priests, among bishops, and certainly among our laypeople. We’re humiliated and shaken by the criminal sexual behavior of some of our clergy. And this has led, even for some who are deeply loyal to the Church, to a lack of confidence in our bishops, in the Church and her future, and even sometimes to a lack of confidence in Jesus Christ. We wonder if the Gospel is really true or if the Church is just another fraud. Francis felt many of the same sentiments, and he faced many of the same questions. And yet a very clear part of his spirituality was his love for the Church, his obedience to her pastors, his unwillingness to be critical of the Church. Instead of tearing her down because of the sins of her leaders, Francis chose to love the Church and serve her — and because of that love and by his simple living of the Gospel without compromise, he became the means God used for the renewal of a whole age of faith. When God spoke to Francis from the cross of San Damiano – “Repair my house, which is falling into ruin” — Francis heard it literally. He thought he was supposed to repair the chapel of San Damiano near Assisi. But of course the real call was to repair the larger Church with an interior revolution, by the personal witness of a pure and basic living of the Gospel. The Franciscan tradition tells us that often in his life, Francis would meet with his community, and this man who was one of history’s greatest saints would say to them, “Brothers, up to now we have done nothing. Let us begin.” And I think that even though we’ve accomplished many wonderful things in the Church in Philadelphia and throughout the United States, if we want to be what God calls us to be in the years that lie ahead, we need to be like St. Francis. Francis wasn’t the only Church reformer of his day. Plenty of other men and women saw the problems in the Church and tried to do something about it. Francis wasn’t even the smartest or the most talented – but he was almost certainly the most faithful, the most honest, the most humble, the most single-minded in his mission, and the most zealous in his love for Jesus Christ. And I’d argue that these marks of authentic Church renewal haven’t really changed at all in 800 years. Most high, glorious God, enlighten the darkness of my heart and give me true faith, certain hope, and perfect charity, sense and knowledge, Lord, so that I may carry out your holy and true command. It’s always easier to talk about reform when the target of the reform is “out there,” rather than in here. The Church does need reform. She always needs reform, which means she needs scholars and committed laypeople to help guide her, and pastors who know how to lead with humility, courage and love. But what she needs more than anything else is holiness – holy priests and holy people who love Jesus Christ and love His Church more than they love their own ideas. Today, just like 800 years ago, the structures of the Church are so much easier to tinker with than a stubborn heart, or an empty hole where our faith should be. Reforming the Church, renewing the Church, begins with our own repentance, our own humility and willingness to serve — and that’s the really hard work, which is why sometimes so little of it seems to get done. But as our new Holy Father understands so well, it can be done. Francis showed us how. Now it’s up to us to do something about it. Very beautiful. Always loved St. Francis as well as St. Rita. As always, I love your words, they are both a clarion call to prayer and action, and balm in a busy difficult frustrating world. –Thank you. that we have not up to now done anything. are waiting for us to love them. what they have said,a lot of good words, but where is the action. May the Good Lord guide and protect our Holy Father, Francis. May he faithfully and courageously guide the One flock entrusted to his care by the Holy Trinity. St. Francis of Assisi, Pray for us. Thank you so much. This is beautiful and inspiring. Excellent. Thank you Bishop Chaput for posting this. Thank you Abp. Chaput, as usual you point out what we need most. This is a very beautiful sermon. It conveys so much regarding my own spiritual responsibilities, relations with the Church, and society. 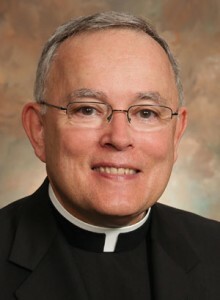 Archbishop Chaput is a breath of fresh air and just what the Archdiocese needed after several of our previous leaders. It is my heartfelt hope and prayer Pope Francis provides a similar presence in the Vatican. I hope and pray Pope Francis is not too good to be true in that some of the rumors prove founded. Beautiful…stirred up my love for St. Francis of Assisi and renewed my yearning to live my profession as a Secular Franciscan more deeply.